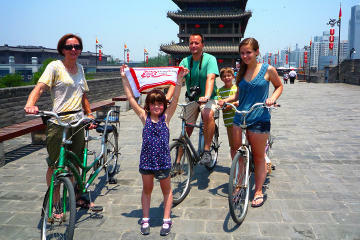 Tiananmen Square with Kids: Flying Kites! 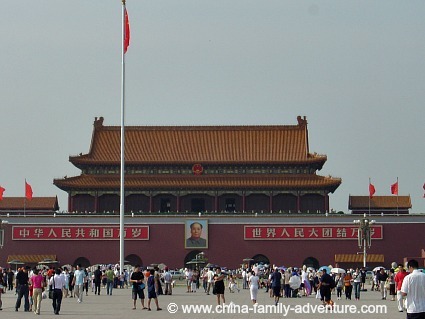 Tiananmen Square is the world's largest square. 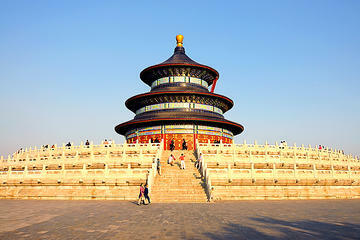 This is one of Beijing's landmarks in the heart of the city and the site of parades and celebrations. It is also of course associated with the massacre following the student protests of 1989. 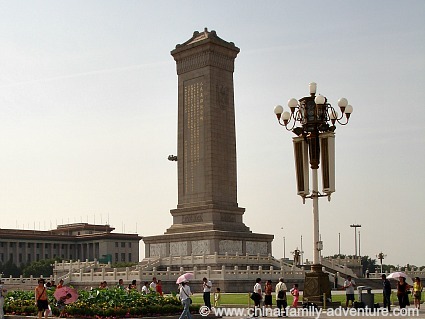 Tiananmen Square has a vital place in Chinese history, this is where Mao proclaimed the founding of the People's Republic in 1949. His huge portrait at the Tian'anmen Gate still remains. 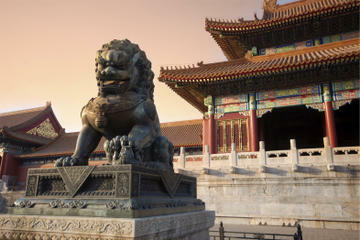 The square is huge, the Tian'anmen Gate with the portrait of Mao is at the core, with the Forbidden City on the other side of the Gate. Flanking the square are are many government and official buildings, and you will see a large security guard presence. 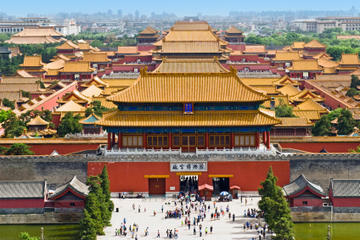 As you face the Gate, the Great Hall of the People is on the left, which is the equivalent of the Chinese "Capitol" or "Parliament", and the National Museum of China on the right. 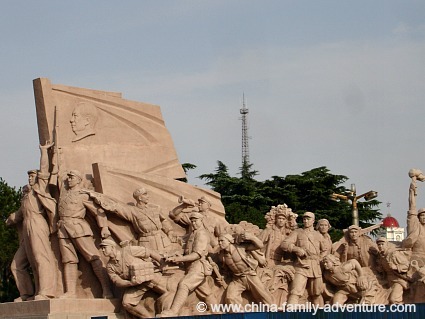 And the other structure is the Monument to the People's Heroes, a ten-story obelisk dedicated to all the martyrs of the revolutions of the 19th and 20th centuries. When flying kites, afternoon is the best time as it will not be as crowded. There are many vendors at the square and you can buy kites from them, but if you are going later in the day, you are safer bringing your own, as there might not be many vendors left. We asked our guide to stop at a shop to buy our kites and that was a fun stop for the kids as well as it was full of trinkets and all sorts of games. Stay to the side of the Square to catch the wind. If you stand in the middle, there isn't enough wind to get the kites up because of the surrounding buildings. 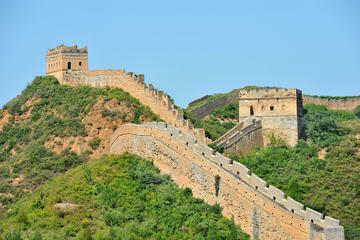 Check out our Beijing Map for this and other Beijing Attractions' locations. 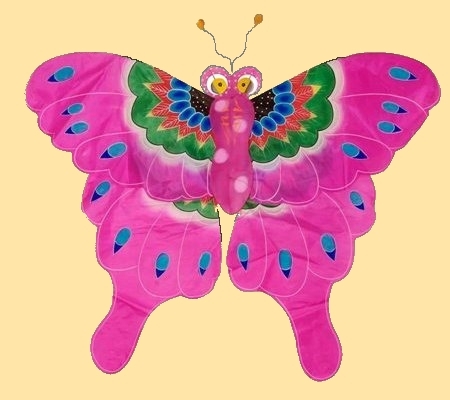 The materials of the traditional Chinese Kites are mainly bamboo and silk. The traditional Chinese Craft of kite-making is passed on from generation to generation by folk artisans from all over China. Besides being a popular past time, Chinese Kite making is a cherished art and part of Chinese folk tradition. 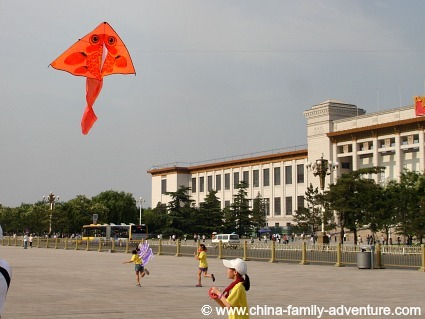 Chinese believe you can let go off all your bad luck through flying a kite! Kites also make excellent decorations and are a great addition to any collection.